It’s been dubbed the Ultimate Thrill Ride — ad nauseam — but Wrestlemania 33 is finally here! With 13 matches on the fight card and 6 hours of scheduled programming, including a stacked two-hour Kickoff Show and who knows what else, there’s just far too much content to break down in just one episode. In part 1 of a two-part Wrestlemania preview podcast, TBR hosts Trevor Robb and Brian Swane will start at the bottom and work their way up the card to breakdown the first six matches of Sunday’s Wrestlemania. Tune in Saturday to catch Part 2 as we breakdown the seven co-main events remaining, including Brock Lesnar vs Goldberg, Undertaker vs Roman Reigns and more. Big Show, Sami Zayn, Braun Strowman, Apollo Crews, Mojo Rawley and more. 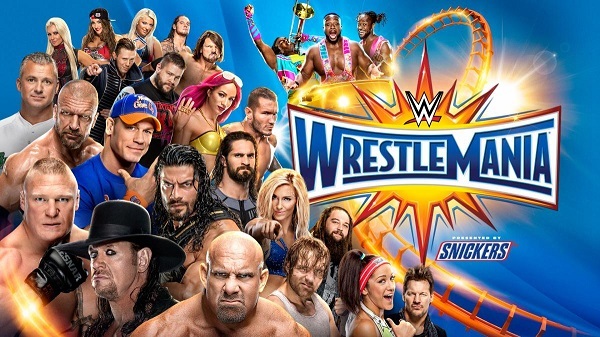 Tags: 780 Sports, Bray Wyatt, Brock Lesnar, Dean Ambrose, Edmonton, John Cena, Professional wrestling, Seth Rollins, Triple H, Turnbuckle Radio, Wrestlemania, WWE, WWE Raw, WWE SmackDown. Bookmark the permalink.